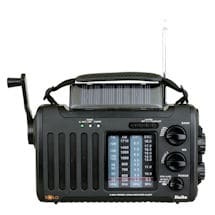 The radio you can count on, no matter what. 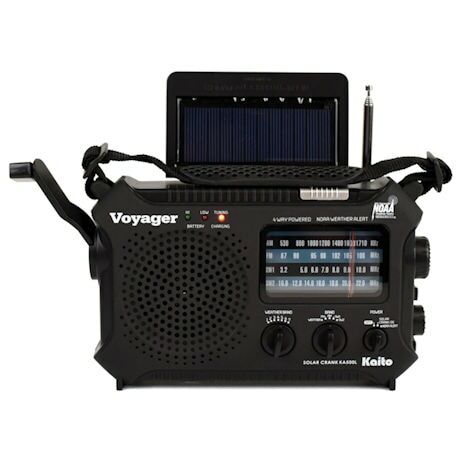 Powered four ways- -solar, crank, adapter, or battery--it receives AM, FM, 2 shortwave, and 7 weather channels plus the NOAA emergency alert. 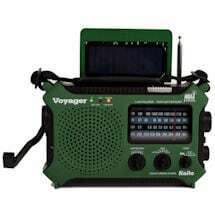 Plus it has a built-in flashlight, reading lamp, SOS emergency light,and USB port for charging your cell phone. Comes with rechargeable lithium battery and USB charging cord. 8"w x 4 3/4"h x 2"d.